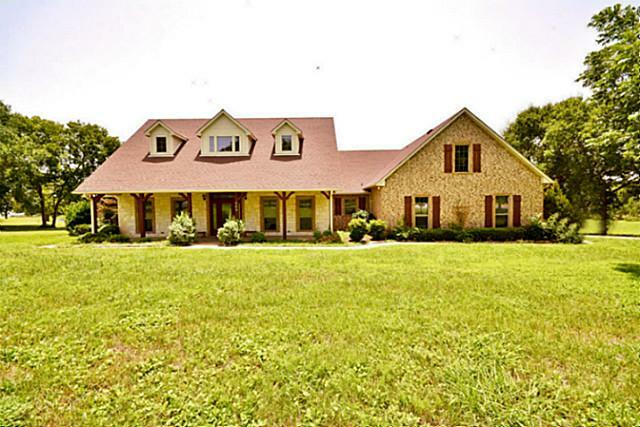 Own this beautiful home located at 5165 NW COUNTY ROAD 2280 BLOOMING GROVE, TX 76626. for more information please call me Phyliss Jones, Realtor (903) 654-0337 or visit my website http://www.thekeytocorsicana.com/. Own this wonderful home located at 1800 oak Valley Lane in Corsicana,TX 75110. for more information please contact me Phyliss Jones, Realtor (903) 654-0337 or visit my website http://www.thekeytocorsicana.com/. 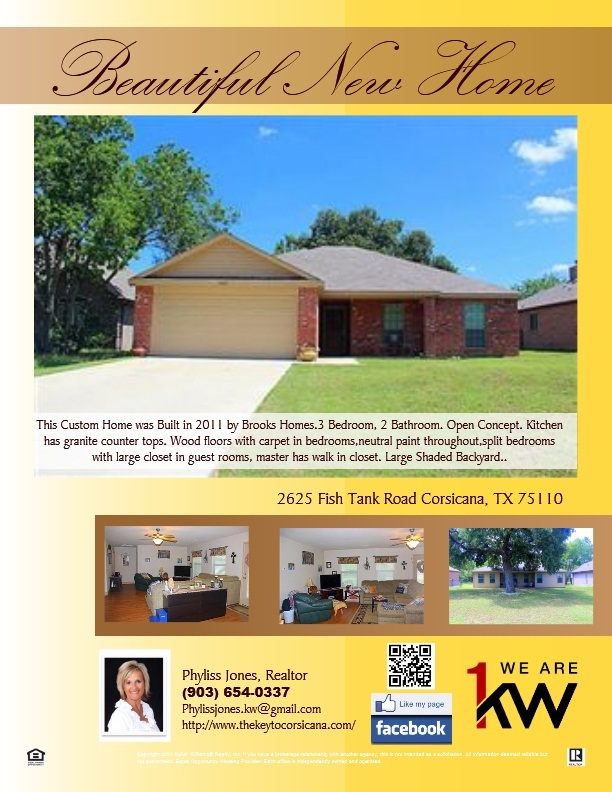 Looking for a Wonderful home in Corsicana? 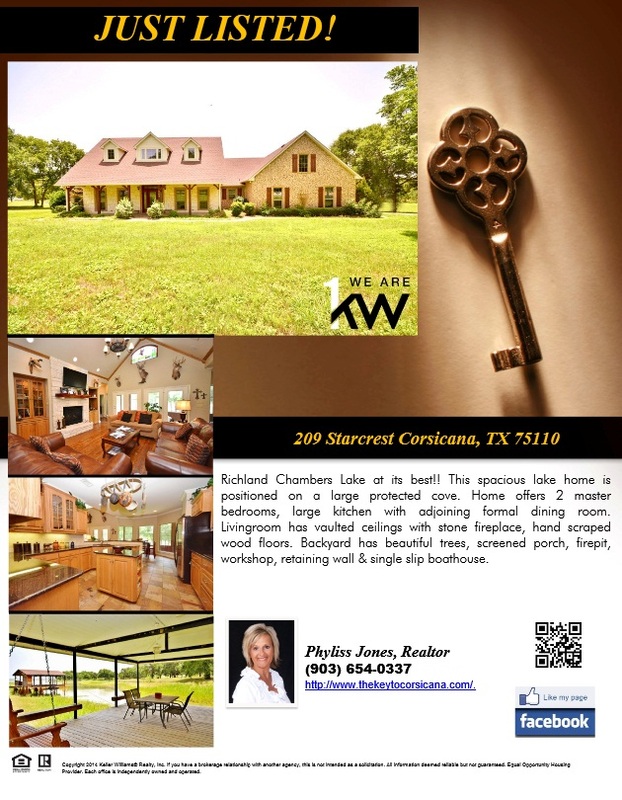 take a look at this listing located at 209 Starcrest Corsicana,TX 75110. for more info please contact me Phyliss Jones,Realtor (903) 654-0337 or visit my website http://www.thekeytocorsicana.com/. 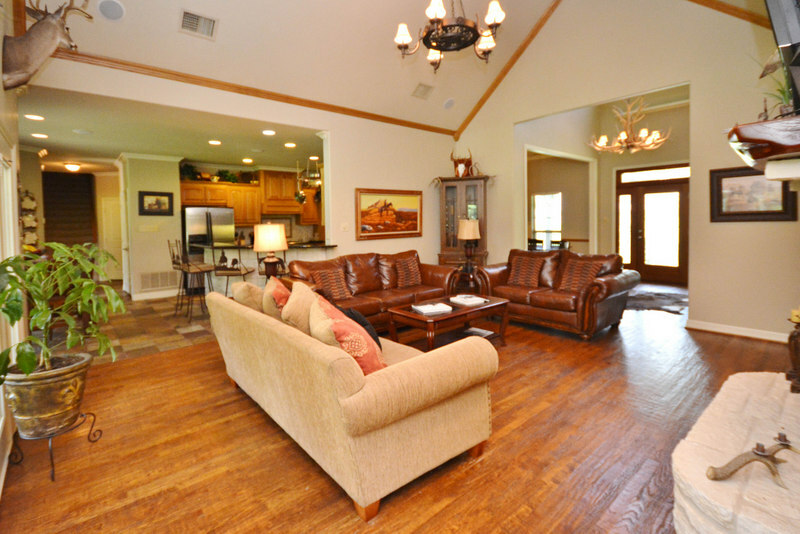 Look at this New Stunning Home in Corsicana! for more details and to Schedule a Showing please call me Phyliss Jones (903) 654-0337. Richland Chambers Lake at its best!! Richland Chambers Lake at its best!! This spacious lake home is positioned on a large protected cove. Home offers 2 master bedrooms, large kitchen with adjoining formal dining room. Livingroom has vaulted ceilings with stone fireplace, hand scraped wood floors. Backyard has beautiful trees, screened porch, firepit, workshop, retaining wall & single slip boathouse. Call me today for a personal tour of this property, Phyliss Jones 903-654-0337 or visit my website http://www.thekeytocorsicana.com/. Come and take a look at this Wonderful listing located at 2625 Fish Tank Road Corsicana, TX 75110. for more information please contact me Phyliss Jones, Realtor (903) 654-0337 or visit my websitehttp://www.thekeytocorsicana.com/. 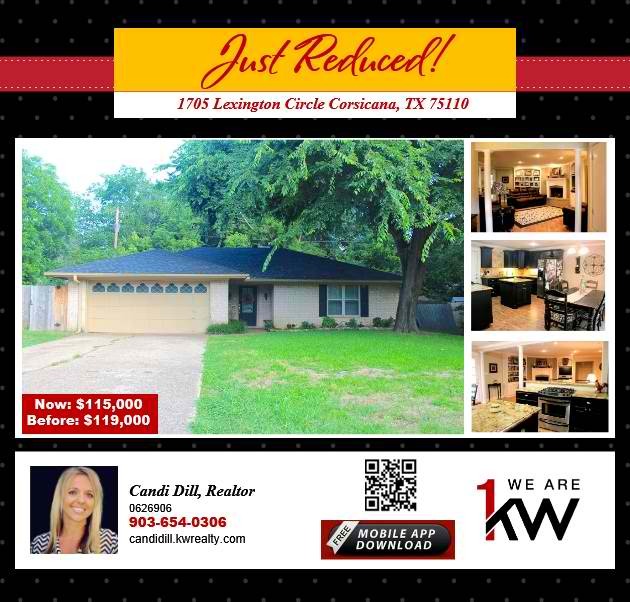 1705 Lexington Circle has been Reduced! 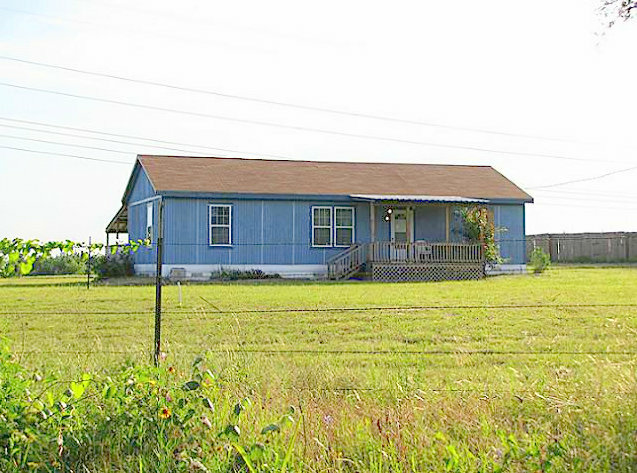 Come and check out this listing located at 5165 NW COUNTY ROAD 2280 BLOOMING GROVE, TX 76626. 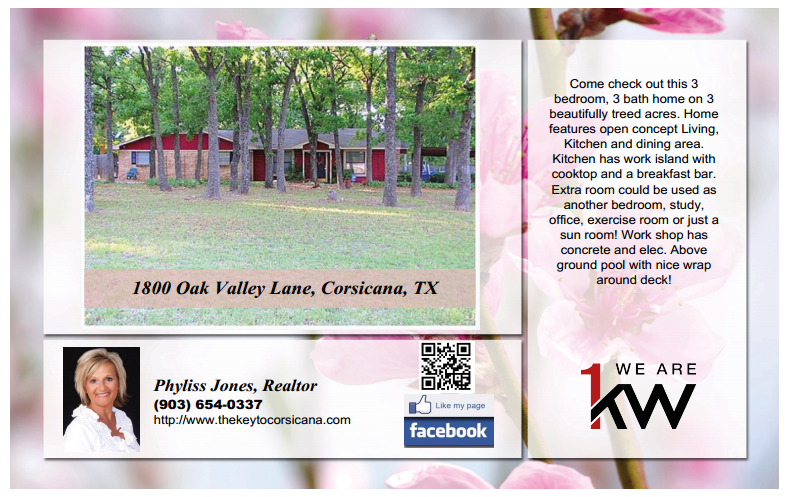 Call me Phyliss Jones, Realtor (903) 654-0337 or visit my website http://www.thekeytocorsicana.com/.